Mozart’s bubbly and energetic overture to the opera The Marriage of Figaro opens this year’s Henleaze Concert Society series in style. 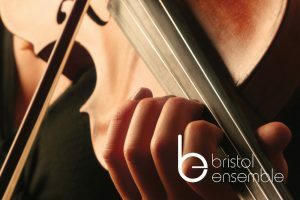 The soloist Emil Huckle-Kleve joins Bristol Ensemble to perform Max Bruch’s iconic Violin Concerto No 1, one of the most popular and well-known in the genre, full of sustained emotion, stunningly beautiful melodies, and Romantic themes. The concert’s finale is Beethoven’s sparkling Symphony No. 1, the composer’s first foray into the full-scale classical form which was described by a critic at the premiere as a work of ‘considerable art, novelty and wealth of ideas’. Tickets are available from Opus 13 music shop, by telephone on 0117 923 0164, and from the shop at St Michael’s Hill, Bristol. Card payments accepted. The shop is open from 9am to 5.30pm, Monday to Saturday.